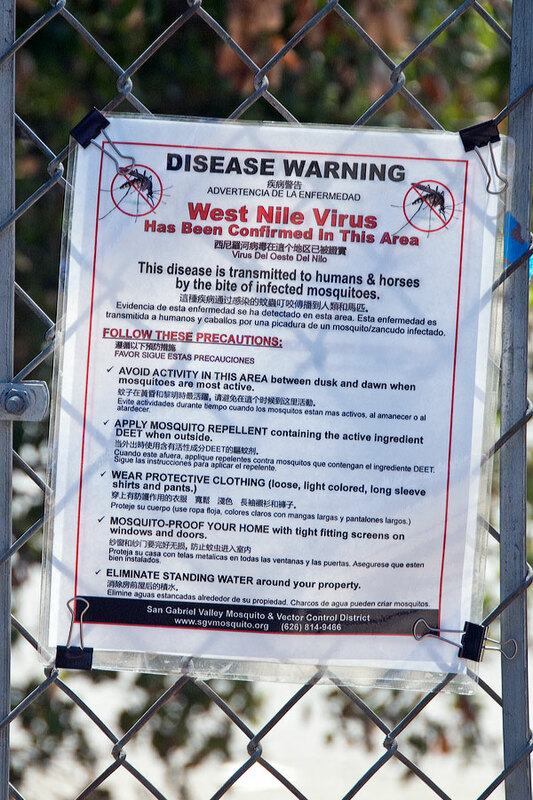 « October 4 Volunteer Workday Canceled! 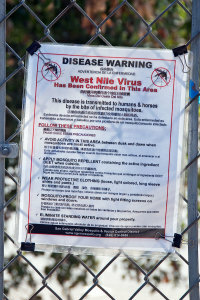 West Nile Virus warning sign on the BFS gate placed by the San Gabriel Valley Mosquito and Vector Control. ©Nancy Hamlett.